At Celtic we choose only the finest organic or natural fibres for all of our products because they are completely renewable, sustainable and a pleasure to wear. Unlike man-made fibres, natural fibres are created from the fibres of animal coats and plant seeds, leaves and stems. These are some of the fibres we love to use. We only use real sheepskins, carefully selected for the purpose and incorporating a myriad of different sheepskins finishes, colours and wool characteristics to create unique, timeless and stylish products. In its natural form wool is a renewable and sustainable fibre that is extremely versatile, which makes it the first choice for clothing. It is wear resistant, provides good insulation against the elements, and has the extraordinary capability of being able to absorb up to 30% of its own weight in moisture without feeling wet. Wool is also dirt resistant, flame resistant, and in many weaves, resists wear and tear. Different breeds of sheep each have their own unique wools, each with different qualities. We've selected the best wool for each purpose in our clothing. Merino Wool - A yarn for all seasons, merino has numerous assets that make it one of the most comfortable wools to wear. Its superfine, silky fibres help to regulate your body temperature, keeping you warm when it’s cold and absorbing moisture when you’re warm from exertion. Their elasticity means they stretch for a great fit then return to their natural shape, so there’s less chance of your favourite garments sagging. Whether you’re at a dinner party or out scaling hills, with merino you’re looking good. This fibre is obtained from the cotton plant. It is one of the traditional fibres used in the textile industry and is cool, soft, breathable and comfortable. It is one of the most preferable fibres because the cloth made from it is durable, at the same time having a good drape. Moreover, it is moisture-absorbent and smooth to the touch. By growing cotton organically, people and the planet are protected. 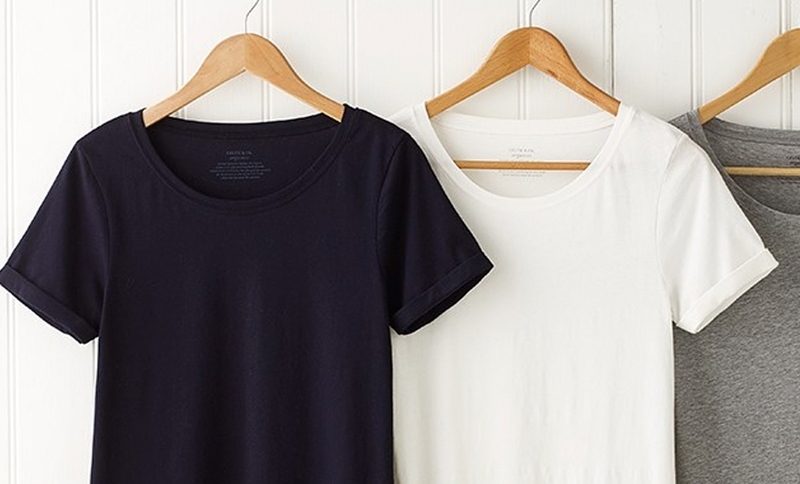 Here are a few reasons why organic cotton is the only choice for a more sustainable future. Over 8000 chemicals can be used to turn cotton into a t-shirt. 20,000 deaths occur in developing countries each year from poisoning by agricultural pesticides used on crops, of which many can be attributed to cotton. Pesticides and insecticides harm natural habitats.